I'm making a game about Sulphur Nimbus the hippogriff and I'm trying to fund it on Kickstarter! It's a third person action adventure with momentum based physics and lots of flying. It used to be a pony game, but I redesigned it to avoid legal issues. It will still have some horses in it though. Feel free to post any questions or comments and I will answer as well as I can. Hiya Oddwarg! I recognized your name right off the bat! Welcome! I remember asking you how you did some stuff and I recognize that engine! Used to be that Rainbow Dash project right? I'm sooo glad you decided to veer off from RD on this one and glad you kickstarted it too! Either way, if Kickstarter only supported PayPal I could have supported you but I will spread the news around and create an article! It's the least I could help than just mucking around. I might try get some money in my bank and see if I could support it that way as well. Good luck with your Kickstarter campaign. Your demo got me sold and hopefully others as well! Yeah, same project, new outfit. And tbh I think the redesign would have been the right decision even if I was able to finish it as a free game, even if it's an unpopular move. I feel like the chances of success are pretty slim at this point, and I'm not entirely sure what's the best course of action. I'm trying to cover a lot of forums and it makes me feel like I'm leeching on them more than anything, so it's a bit funny to me that you're happy that I'm here. I really appreciate that you want to help me spread the word. If it makes a difference I do take pledges via email (or PM), and I have a third party relay it into the funding amount. If it reaches the target I'll message everyone back with my paypal address. No pressure though, and it's best for me if as many people as possible pledge 'normally'. The video makes it seem a little bit generic at the moment. It could use some more distinctive something, the character is the only thing that couldn't probably be found in many other games. I hope the name works into the game somehow and isn't just a cute/catchy name. I'll have to try out the demo. I have to wonder why you didn't use a different service than Kickstarter or set a lower bar since it's very all or nothing. Unless you mean to drop it like a hot potato if you didn't get funded? As with most of these projects, the price scaling seems a little steep on physical copies. Did you just set an arbitrary number or is there math because ~$40 is pretty close to a commercial game from a good sized studio. +$24 seems like a lot extra for a physical copy on a memory card with a sticker. If it looks generic, then I suppose that can't be helped. I'm not sure if there is anything that can be said to be truly original though, and indeed I subscribe to the idea that everything is a remix. But if there is anything that makes this project original, then I will argue that it is the way the flying works and how the game is designed around it. I think that is something you have to experience for yourself, and furthermore it's not for everyone. If I was a salesman I would undoubtedly have made a better pitch, but for better or worse that's not me. I can assure you that the title carries meaning in the story. I don't make these things up without a reason, but what the reason is, is spoilers. It carries no significance in the demo though; that's a demonstration of the gameplay mechanics and style, and not the storyline. I use the all or nothing paradigm because the goal I set is the absolute minimum that I need to deliver what I'm promising. I really do need to work on it full time in order to complete it in one year. Depending on where you come from, kr90 000 may seem like a lot, but let me remind you that the effective value of money is relative. To provide some perspective, the relative poverty threshold in Norway (as set by the EU) is an income of kr235 200 per year. Factor in the fees and project costs, and you'll see where I'm at. Excuse me if this sounds rude, but suggesting that I could do this with less money is absurd. Whether failure means abandoning the project completely is an open question, but it does mean I cannot deliver on any of my promises, which is not acceptable to me. As for using Kickstarter, that's just because it's the biggest and most trusted crowdfunding site. Yes, the physical copies are expensive, and a part of the reason for this is that making these copies is a job that doesn't make the game any better: I could be spending that time and effort developing the game instead, which is why I actually don't want hundreds and hundreds of orders for those tiers. The truth is I was considering not doing it at all (and some people have advised me to not do physical rewards), but I included it for those backers who really want a tangible item and also want to support the project more than everyone else. That's what it is. Now, the item itself is a USB flash drive in credit card format with a custom print. The price for making these prints is highly variable, but after some research I settled on being able to get decent quality ones from China for at most kr50 a piece. I stated on my Kickstarter page that I wanted to keep rewards production costs at 25% or less for individual tiers. Following that figure lands us on kr200, which is admittedly significantly less than kr350 even if you factor in packaging costs. The reason I went up is what I wrote above. Putting the data on the cards, testing them, preparing them for shipping and sending them off is a job that I'm not really interested in doing for a large number of copies. On a side note, I'm not yet sure if I'll include a box or a sleeve or what. I opted not to mention packaging. That's a long post, but I think it's fair to explain my thoughts. I do appreciate the feedback, and I'd like to know how it goes if you try the demo.
. My opinions on it being generic should probably be taken with a grain of salt until I've gotten around to trying out the demo myself (maybe after I finish this post). I just think that every game should aim to distinguish itself in the art/etc. Maybe not in the style, but I should be able to differentiate two similar games (e.g. a flying character flying over mountains) if I'm looking over someone's shoulder while they're playing. No spoilers is alright, it would just be kind of a lame cliche if the name didn't have any significance at all beyond being the character's name. I suppose I can understand your point, but it's incredibly frustrating to become even remotely excited about anything only for it to crash and burn or disappear entirely. My point regarding costs was simply about the success of seemingly untested parties and the willingness to part with money in such a case. The TFH (Fighting is Magic "remake") developers had a much stronger position because they had already proven successful at making a game with limited funding (maybe none?) and had the backing of people with sort of 'household names'. Being able to take in half your goal and still get it even if you don't reach the goal would be progress towards a game, although admittedly the goal should cover reaching the promised goal. I'd like to see this happen, but I don't have a ton of money kicking around (definitely nowhere near $9K) and 10 days is a short time period, even with a much more vigorous PR campaign. If you haven't submitted this to EQD it might be worth a try. 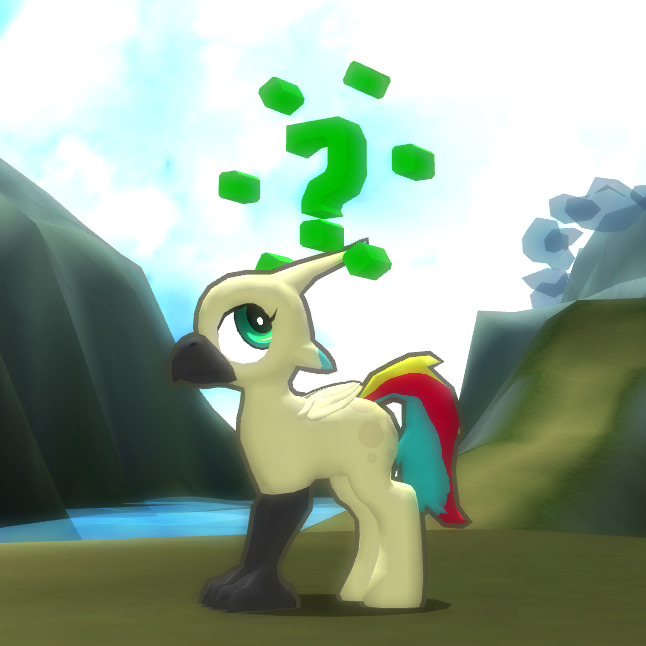 It's not exactly MLP, but it is a game with a griffon character that shares an art style and there are bound to be members of the fandom who are interested in such a game (presumably partly why you posted it here?). The problem with physical copies imho is that if it's going to cost twice as much as the game + soundtrack it's going to be a tough sell even if someone really wants it. If money is less of an object, you might offer a second voucher to gift a friend (yes, it's kind of like -3- copies of the game at that point, but people buying a physical copy are probably doing so for a neat knick-knack or a pretty backup copy and they'll probably still want their itch.io download for themselves). That way it comes across as them buying two copies of the game and simply getting a pretty trinket on the side. Maybe I am just fond of multiples of $5? I'm not sure how the cost dynamics work, but I would think if you could get a custom sticker that an SD card in those of plastic cases that commonly with the card (or the card in them) might work. Granted that while those slots are common, USB is a bit more common still. For packaging, a simple mailing envelope (or a padded one if you're feeling generous) with a simple lineart ink stamp for the game would probably suffice. I got covered by EQD twice already, they've been very helpful but as you can tell no breakthroughs. I've attempted to contact a lot of indie game sites as well but unfortunately none of them have cared to respond which is disappointing. I have to agree it would take some kind of miracle at this point but I'll keep going until it's over. Will be posting a silly video every day from now on. Sorry. It's not a guarantee after all, just a chance for attention. You could always try a different approach with something like Patreon maybe, like 'If I get $X of monthly revenue then I'll work on the game for Y days this month', but perhaps there just isn't quite enough demand/interest at the moment. On the whole, the game looks pretty nice I have to say, but it does have some ugly spots. For example, the window frame looks like Win98 or something. Maybe that's JOGL's fault, but I thought Java could use platform native look, at least with Swing. Also, the graphics/text for the controls tutorial is pretty ugly (as is the FPS indicator). You really need better graphics for that and larger/easier to see text. 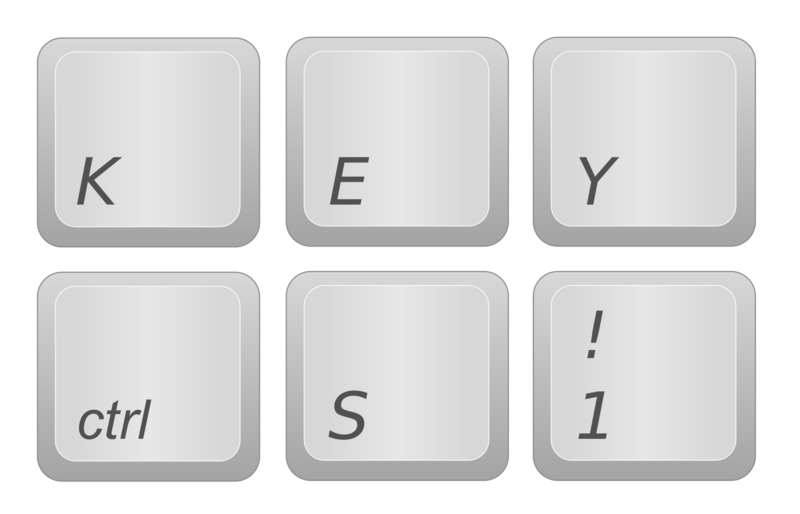 I am personally fond of the 3D keyboard key (like this: http://www.clipartsfree.net/vector/large...lipart.png) and controller button (like this: http://www.downloadclipart.net/large/245...design.png) icons that are sometimes used in other games for that. Another possibility is to emulate the style in Borderlands. I also think it should be centered like it is in many other games rather than on the bottom left. Similarly, the health and flight/energy bars are very plain and could use some touch up. Many games would have an icon to the left of the bar indicating it's purpose/meaning, which I think would be a welcome visual addition here even if the basic notion is pretty obvious. They also sometimes have other decorative elements, but I suppose that's not really necessary at the current stage of development. On a related note, the game really should know whether you are using a controller/keyboard even if that requires a default setting that needs to be manually changed so that it can only show the relevant control scheme. Mechanic wise, flight is pretty fun if a little bit weird, especially how it behaves when you're pointing up vs down and not flapping your wings). When you're looking up you just seem to be staying in the same place, but when you look down you fall fast. It's also really wonky that you can fly to the top of the mountains, but not up to that pedestal behind 'Level 1' which should to be a bit larger because it's easy to fall off the ramp even when you're just walking up. I do like the barrier/diagram/blob mechanic, but I think that once you've activated a diagram there ought to be just be a floating, glowy, filled-in version of the diagram and the red barrier shouldn't reappear (even though you can re-vanish it anytime post-activation). Working the camera and character movement is a little wonky on the keyboard, although it's probably better with a mouse (laptop trackpad is hard). Please, please ditch/replace/do something about the horrible typing noise effect when the game is telling you things. I find it to be pretty obnoxious even at low volume. Just display the whole message all at once or maybe show an scroll/strip of paper that unrolls out to the left and right from a central point (with related sound). I also think that the little question marks should be intangible so they don't do that weird bounce movement if you push through/past them, but maybe that would break the 'attack to active' mechanism. Tangentially, I think that EquiDev's 'horse game' (http://equidev.net/) is a good reference for what you're aiming for in user experience. This game looks very promising, and actually I made this account purely to say that. I'm not much of a game developer myself, but seeing as how it's solo I bet that must have been really hard. Like stormy said, there are some elements that need work aesthically, but just flying around was pretty satisfying for me. Out of curiousity, what did it look like before you redesigned it, and copyright aside, why did you take ponies out, hasbro only really owns the characters not the ponies themselves. Not that I think it was a bad move, actually I kinda favor sulphor. The UI stuff is pretty superficial and it's going to change. All your suggestions are noted. I'm not entirely sure what pedestal you mean, but I know the flying and physics in general are unusual, and mostly intentionally so. That's not to say improvements are out of the question, but most importantly you need speed to maintain your lift and stay airborne, and you're never going to be able to fly upwards unless you've built up the speed to do so.